Ok, so I was left on my own this weekend which usually means copious amounts of time at the Local Card Shop. The wife is away in Houston, having attended the funeral of a dear friend's mother. 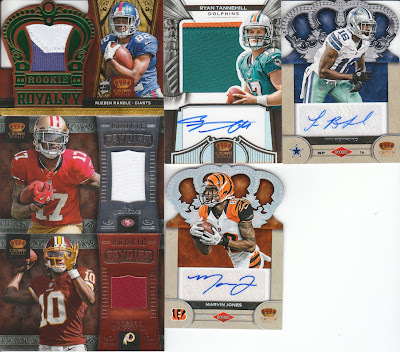 I am pretty happy with the Randle and the Tannehill! A die cut patch relic?!?! 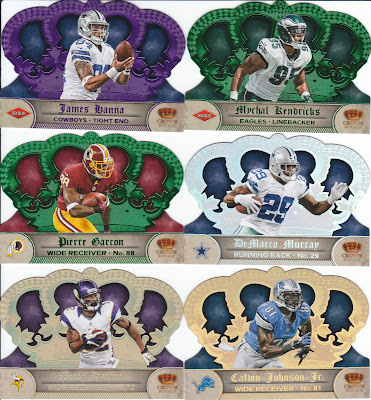 The Randle is nice and low numbered as well! The Tannehill is already up on eBay, the Randle may soon join it. But as always, my non-Texans stuff is up for trade. If anyone needs base cards, I'm getting a nice stack of those as well. Are there any football collectors following? I don't know how well these football posts are being received... am I turning off my loyal baseball readers? Does apathy abound? Am I talking to myself? Alright... well, hope you enjoyed, tomorrow I'll show you what I got from 2012 Momentum. I love the football posts, I just have no interest in that draft class. But I like seeing how you do on your breaks. That's a really nice Megatron! I'm lovin' the football posts as well. Crown Royale looks great this year! 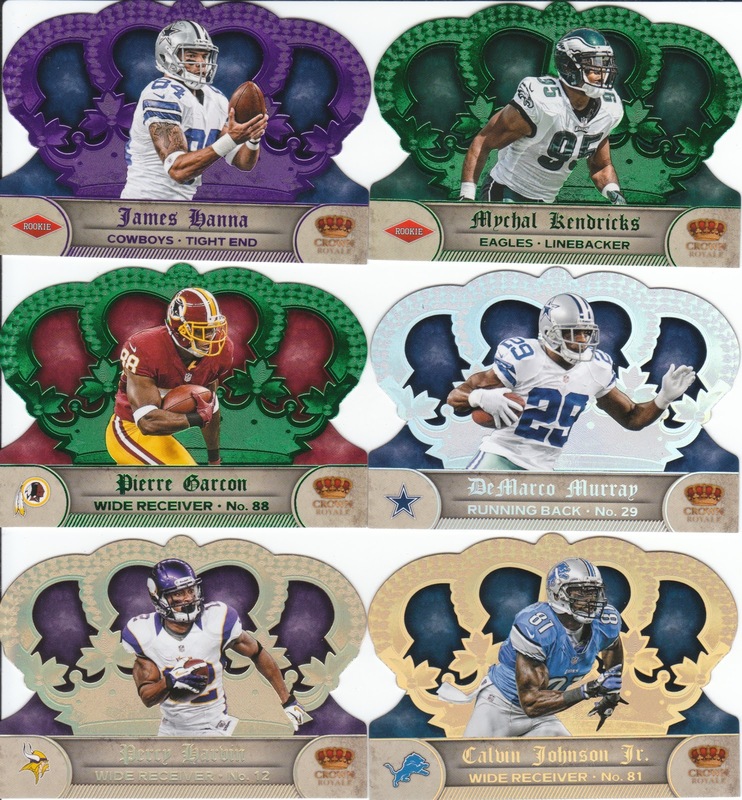 It's football season, though people are loving the 2013 topps design, i'm sure a lot are focusing on football because of growing disdain for Topps! I'd love any Falcons you have. I'll look at my Texans and Oilers and see if we can work out a trade. Nice. I get some Crown Royale every year. Very nice looking product. It's always nice to see football posts so keep 'em coming. If you put any Panthers aside for me I'll make sure to put Texans aside for you.